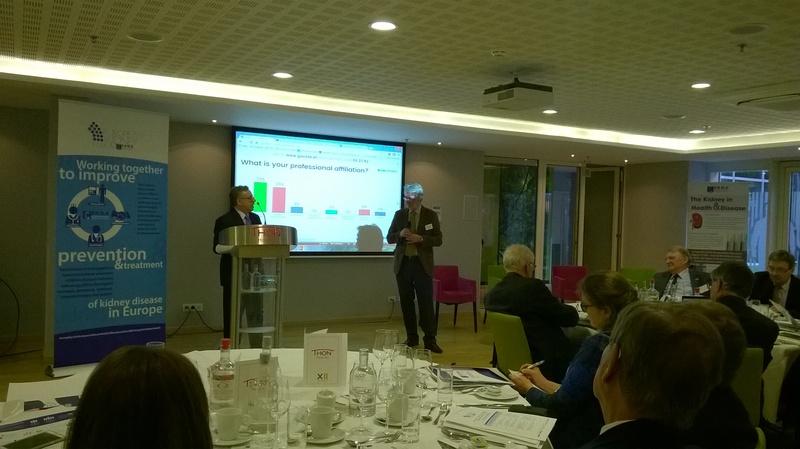 On the 19th of April, the European Kidney Health Alliance organised its annual multi-stakeholder Forum, co-hosted by the MEP Group for Kidney Health. The event was the occasion to debate the need for an overhaul in healthcare systems, in order to shift from disease care to prevention. Participants discussed measures to reduce the prevalence of chronic diseases, in particular chronic kidney disease, and on the related potential impact these actions can have in terms of health spending. Between the speaker’s talks, participants were invited to vote electronically to give their opinion on priorities for prevention programmes – including screening, lifestyle measures, and education. They were also asked to provide their vision on the EU’s role and national health ministries’ responsibilities in promoting healthy diets; as well as their views on secondary prevention priorities to prevent disease progression. Read the Summary Report of the 2016 EU Kidney Forum. Please click here to watch the summary video. On the 19th of April, EKHA attended the Chronic Disease conference organised by the European Commission “Towards better prevention and management of chronic diseases“. This multi-stakeholder event, which attracted many actors of the European sphere but also players related to the health field at national level, was the occasion for the European Commission to present a set of intended measures to address chronic diseases. The strategic approach developed by the Commission disappointed many stakeholders by not putting forward innovative ideas to face the health challenge, despite providing for a new EU Health Policy Platform with the aim to support collaboration, dialogue and exchange of practices between all interested parties. Please find EKHA summary report of the conference here and the Commission’s video recording of the meeting here. Optimize cross-disciplinary and collaborative research by creating a more open research culture. 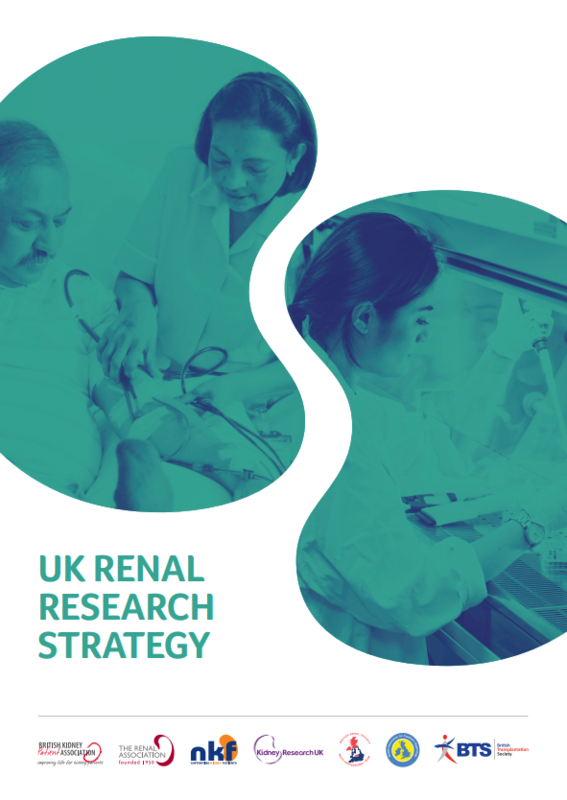 The Strategy was developed during two years under the lead of the UK Kidney Research Consortium, an umbrella organisation comprising major UK kidney charities and professional associations, NHS England and clinical research networks from the National Institute for Health Research, Scotland and Northern Ireland. UK Life Sciences Minister George Freeman MP endorsed it, praising its potential by defining it as “an ambitious yet realistic” document which could foment changes in kidney care by focusing on the whole process, from laboratory research to kidney patients and health professionals. He further highlighted the need to ensure UK’s attractiveness to researchers. The Life Sciences Minister voiced his intention to continue working with the kidney community to ensure full implementation of the strategy and leverage its impact, as well as to integrate it in the Government’s policy agenda. Ahead of the 2016 World Health Day (7th of April) which focuses on diabetes for this year edition, the World Health Organisation released today its Global report on diabetes, calling on national governments and civil society to accelerate action to fight against the alarming rise in diabetes cases observed at international level. The report especially highlights that the number of patients affected by diabetes has quadrupled since 1980 to represent 8.5 percent of the world population. It outlines that the disease is a leading factor for contracting cardiovascular disease or having kidney failure, representing an important life-threat for citizens and generating high costs for healthcare systems. WHO Director-General Margaret Chan stressed the need for a stronger response to diabetes including all stakeholders from patients to food producers, and not only governments. She especially reminded WHO Member States commitment to reduce premature mortality from non-communicable diseases such as diabetes by one third by 2030, in light with the United Nations Sustainable Development Goals. Through the report, WHO calls for greater prevention of diseases, by implementing policies that encourage healthier lifestyles including increased physical activity and healthy diets; and that discourage the consumption of sugary, fatty or salty food, including sugary drinks. Building on the experience of Mexico which implemented a tax scheme on sugary drinks, WHO’s recommended policy actions include increasing the price of foods with high amounts of sugar, fat and salt, with the aim of making their consumption decrease. 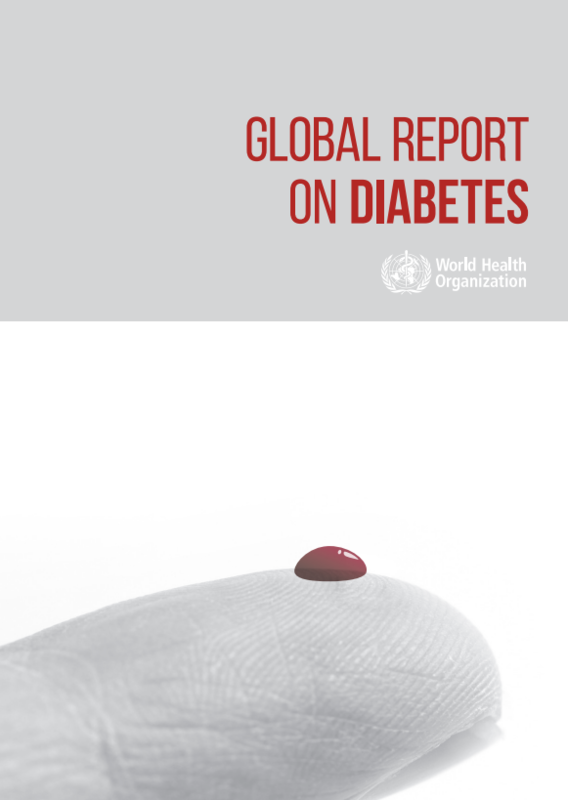 The report also recommend to take action to manage diabetes, especially ensuring equal access to insulin and other essential medicines to patients across countries and to promote research and development of new treatments. On the occasion of the 2016 World Kidney Day (10th March), the Dutch National Foundation has launched a Salt Campaign in the Netherlands to raise awareness on the need to reduce salt intake in food, as part of the overall goal of adopting healthy food habits. The campaign was initiated together with a ‘salt measurer’ digital tool in Dutch language, which helps citizens evaluating their daily consumption of salt.